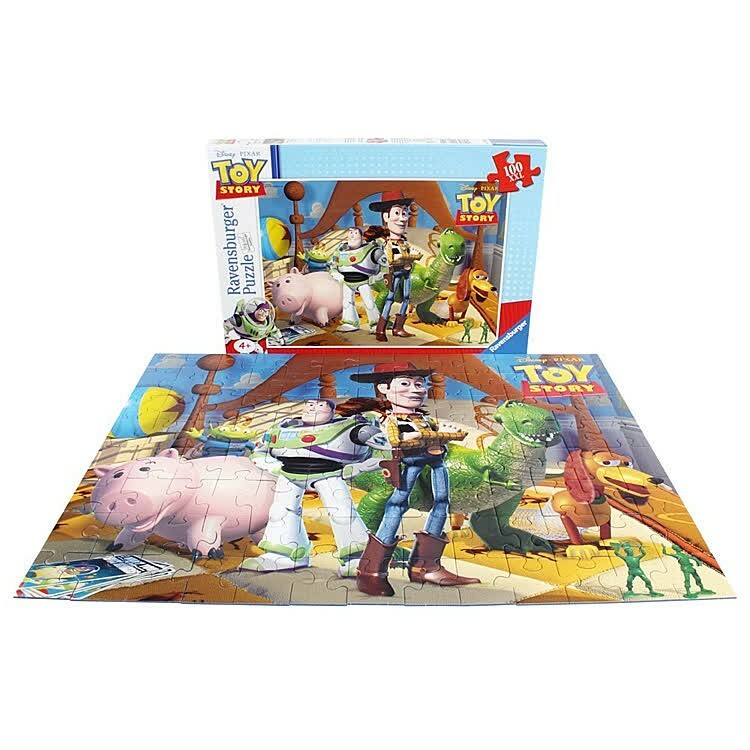 Meet your favorite Disney Pixar Toy Story characters putting this 100 pieces jigsaw puzzle together. 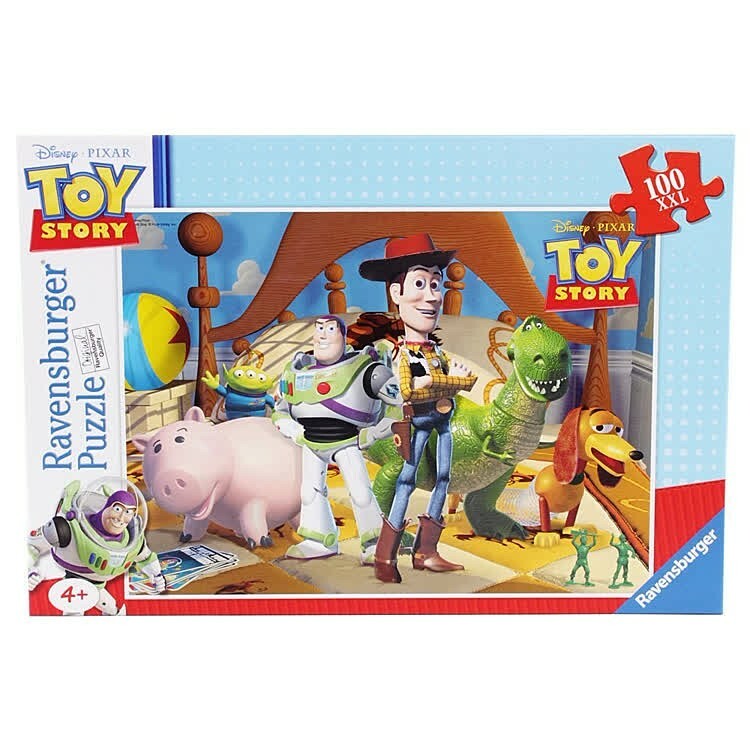 You've got a friend in me! Disney Pixar Toy Story animated movie has been captivating children's and grown-ups' hearts for many years. 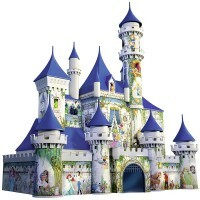 This animated film has become children classic due its great story, music, and amazing graphics. 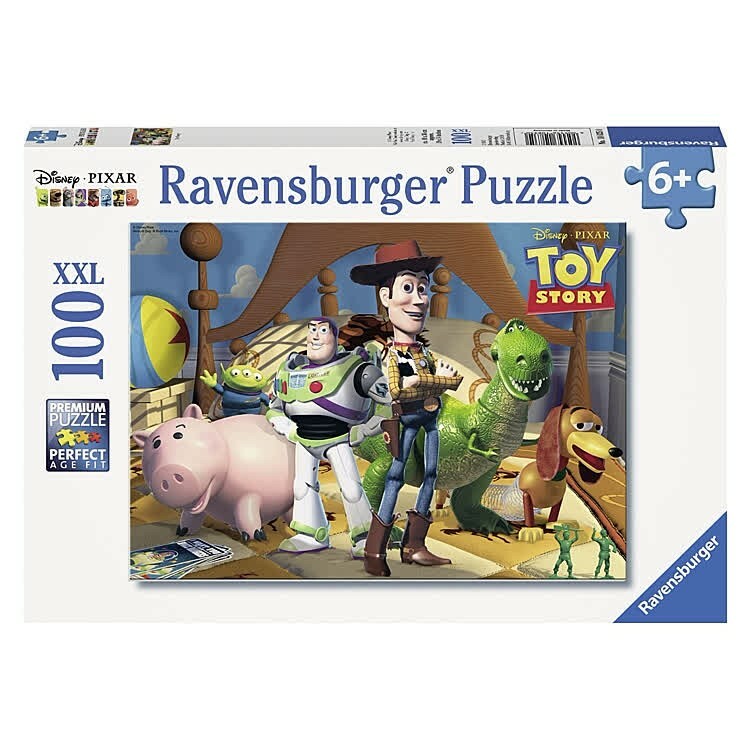 Toy Story Disney Pixar 100 pc Jigsaw Puzzle by Ravensburger lets your child join his/her favorite characters and have some puzzle fun. 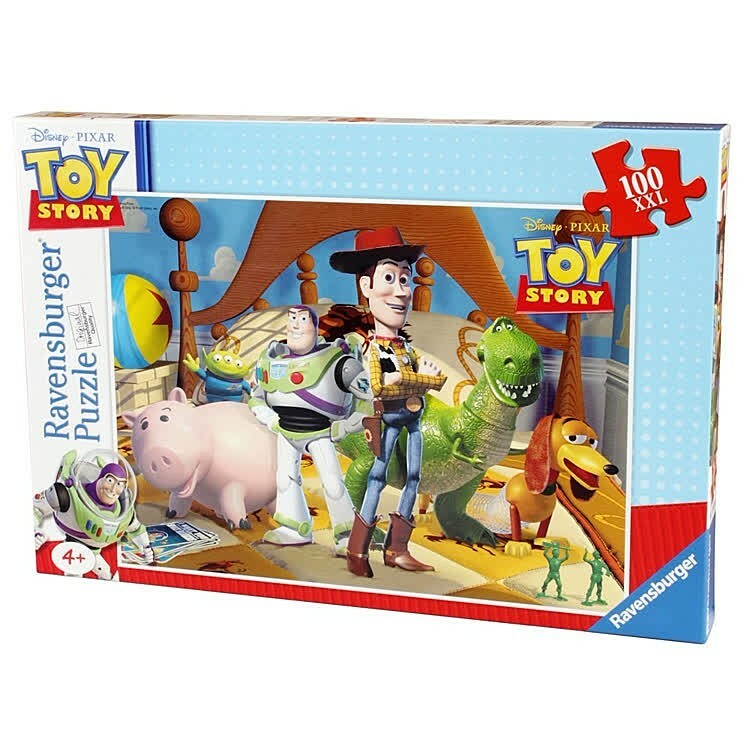 Put 100 durable cardboard pieces together and meet Woody, Buzz, Rex, Hamm, and friends on Andy’s bed. 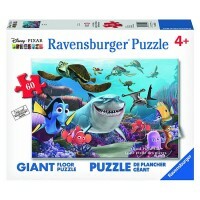 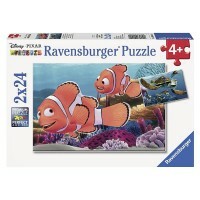 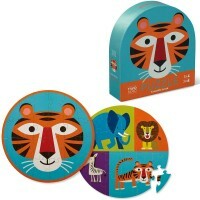 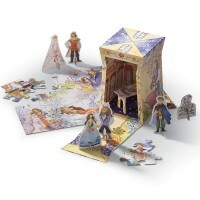 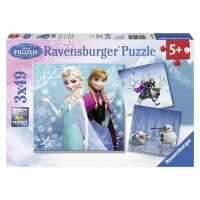 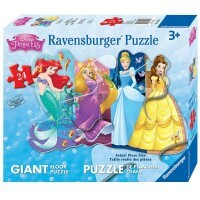 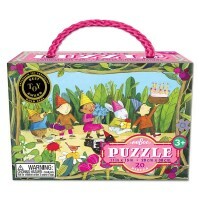 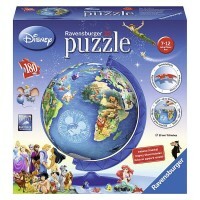 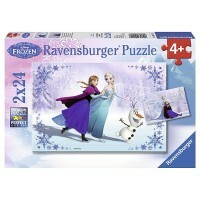 Educational Toys Planet recommends this Disney theme jigsaw to all Disney fans, small or big. 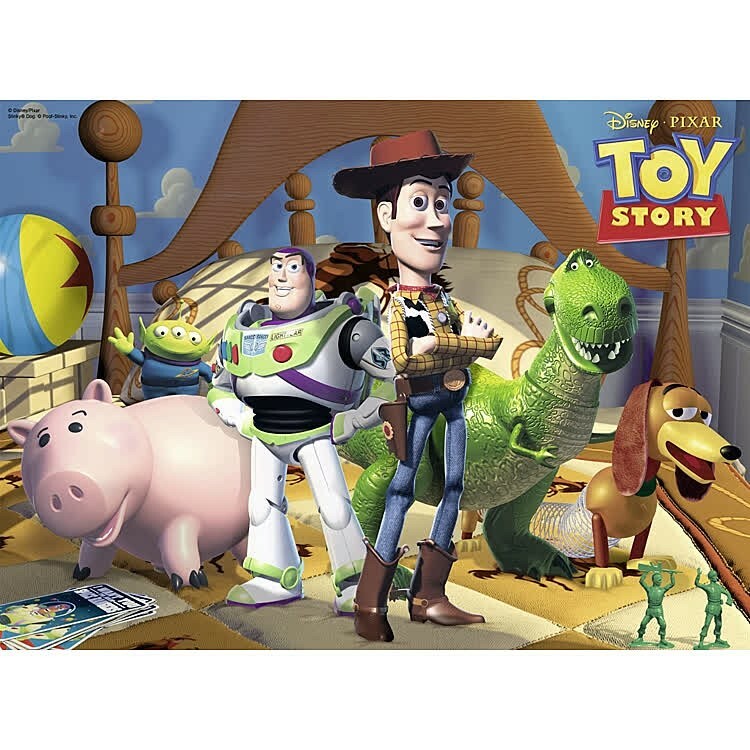 Assembled Toy Story Disney Pixar 100 pc Jigsaw Puzzle measures 19.5 x 14.25 inches. 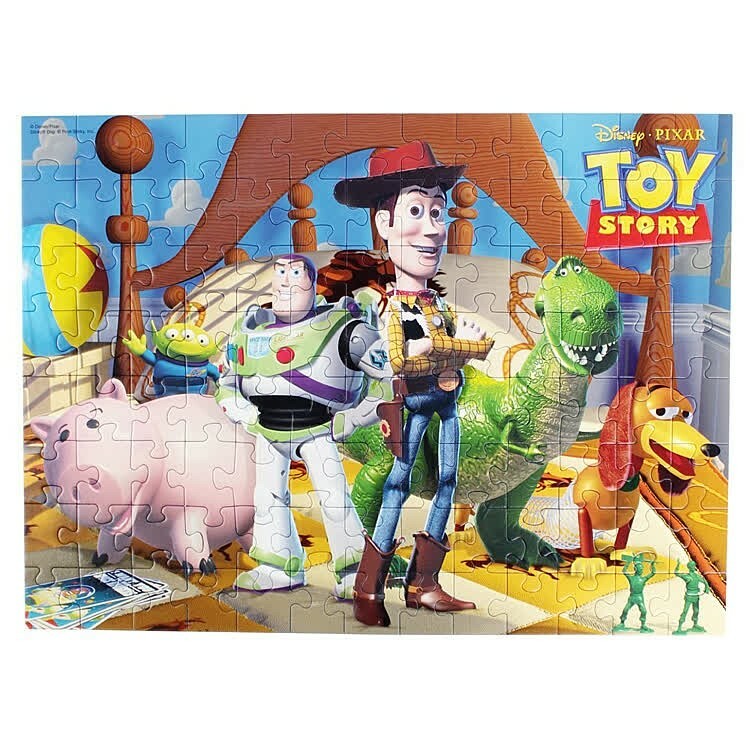 Write your own review of Toy Story Disney Pixar 100 pc Jigsaw Puzzle.